Oooooook you guys. I've had a rough several weeks and I'm just trying to pull myself and my home life back together. I know I said I was going to start blogging again come new moon, but I've had an intense few days and the last thing I want to do right now is start … Continue reading Is it all too much? I’ve dealt with anxiety for many years now and I’ve tried different techniques to cope. Sometimes relaxation techniques help, especially if the anxiety appears triggered by exhaustion. Sometimes my anxiety comes from a sudden influx of energy that tends to overwhelm me, and the best thing to do in that scenario is to get moving. One evening last December I started to become really anxious, and so instead of pulling out my hair and going crazy, I decided to channel my nervous energy into creating something. 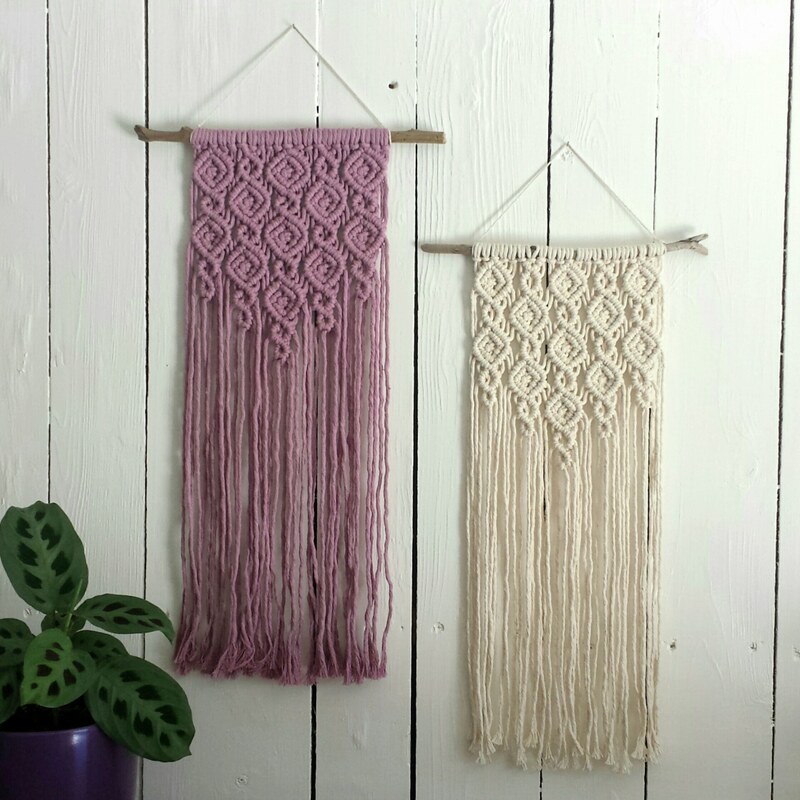 I opened up my scraps/offcuts bin to make a mini macrame wall hanging exclusively from these scrap pieces of rope. 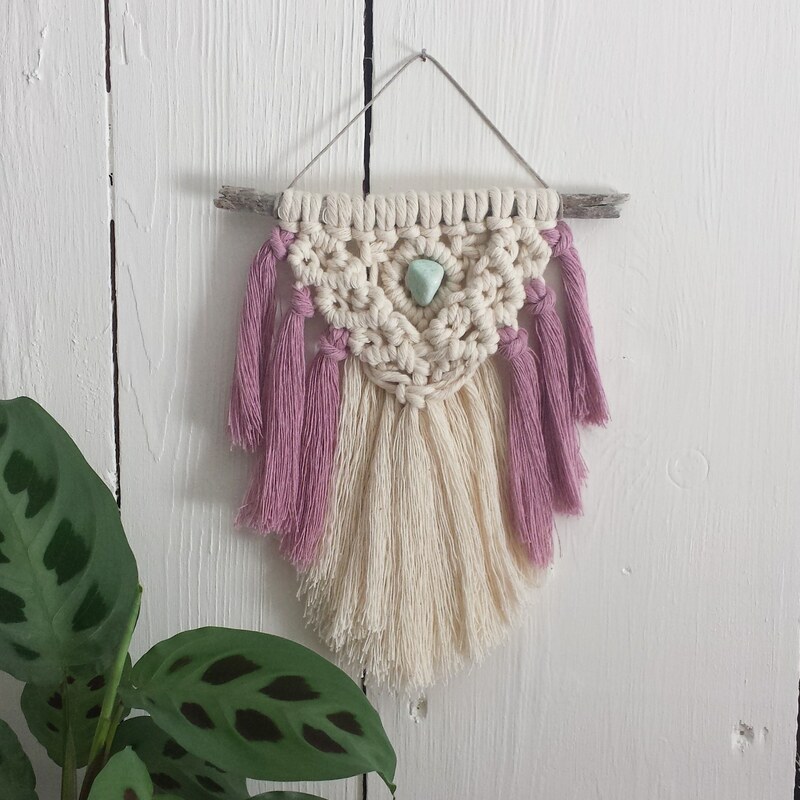 My fingers worked quickly and furiously, and when I was done, I attached a small amazonite stone in the middle. 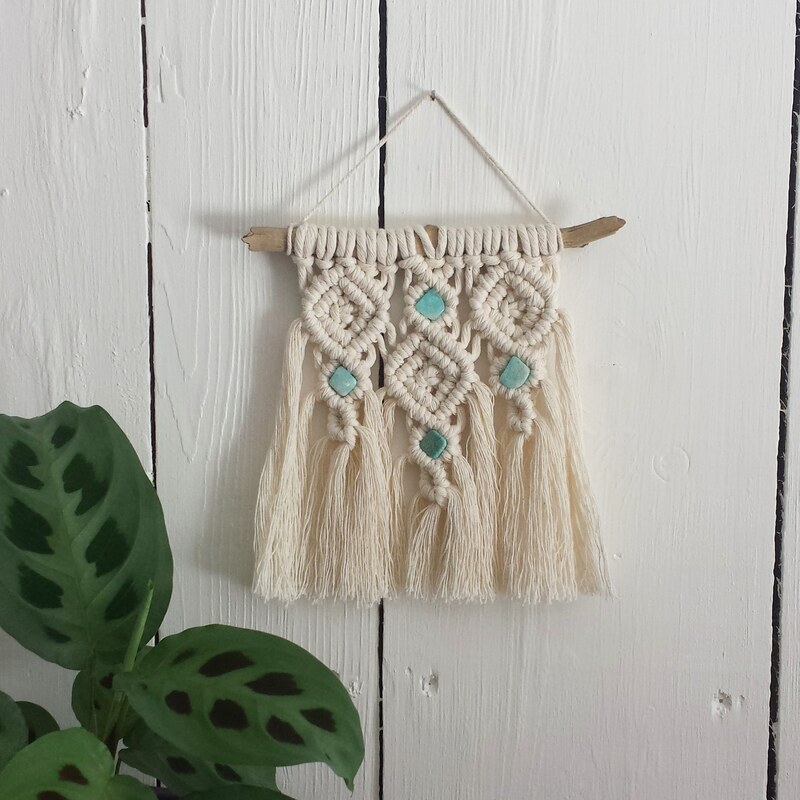 Over a year ago I wanted to make a small macrame wall hanging plant hanger. 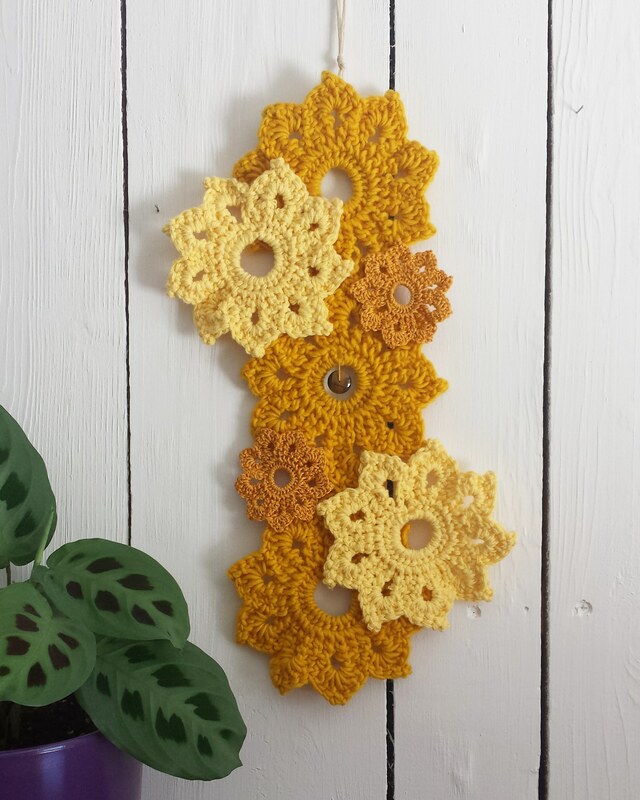 I quickly discovered it wasn’t going to turn out the way I wanted, so I decided to change course and simply make a wall hanging.